The idea of construction of the enterprise for the production of artificial collagen appeared in 1970 in connection with the lack of domestic collagen casings for the production of sausages. For the release of boiled sausages used polyethylene, for other types of sausages bought artificial collagen casings in Czechoslovakia, Germany. 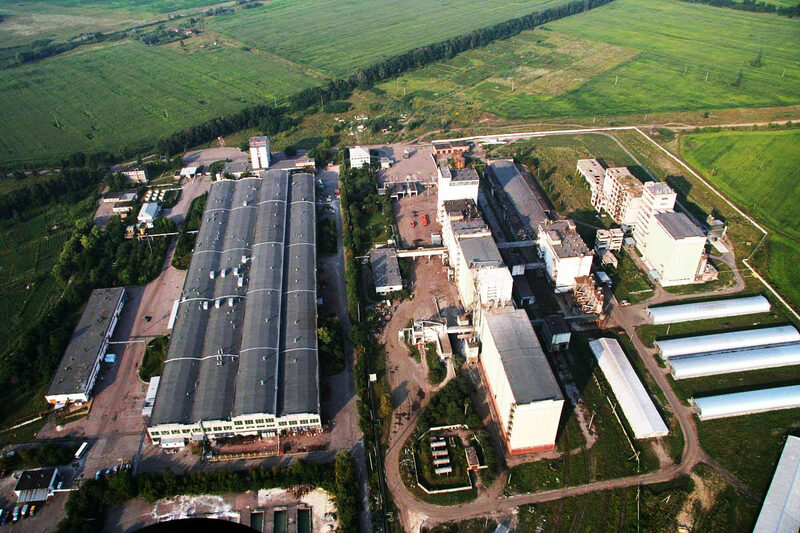 Basis for construction of the plant became protocol of the meeting of the Presidium of the USSR Council of Ministers № 23 dated July 3, 1974. The design of the plant was developed Czechoslovak and Ukrainian specialists. Construction works started in March 1977, completed in December 1980. The act of acceptance factory commissioning signed on 30 December 1980. The plant was fully staffed with imported equipment. Design capacity – 154 million meters of shell per year. The area of industrial city was 61940,4 thousand sq. m, and the share of primary production accounted for 24623,2 thousand square meters of a Group of specialists of the plant was trained at the Czechoslovak company «Kutizin», specializing on release of synthetic collagen casings. Most of these specialists work for the company at present. The factory constantly work on improving processes, upgrading and development of new equipment. Veterinary and Sanitary safety of raw materials is confirmed by veterinary certificates and conclusions sanitary-epidemiological expertise. The main component of the split leather Golevo is a structural protein collagen, which provides mechanical strength of shells and physiological value for the human. During the production process of shells, quality control is performed of raw materials, semi-finished products, finished products, which ensures the quality and safety of shells. Product safety for human health confirmed by the conclusions of sanitary-epidemiological expertise.